Toronto is full of pop-up shops this year. I feel like every weekend there is something new to go visit. 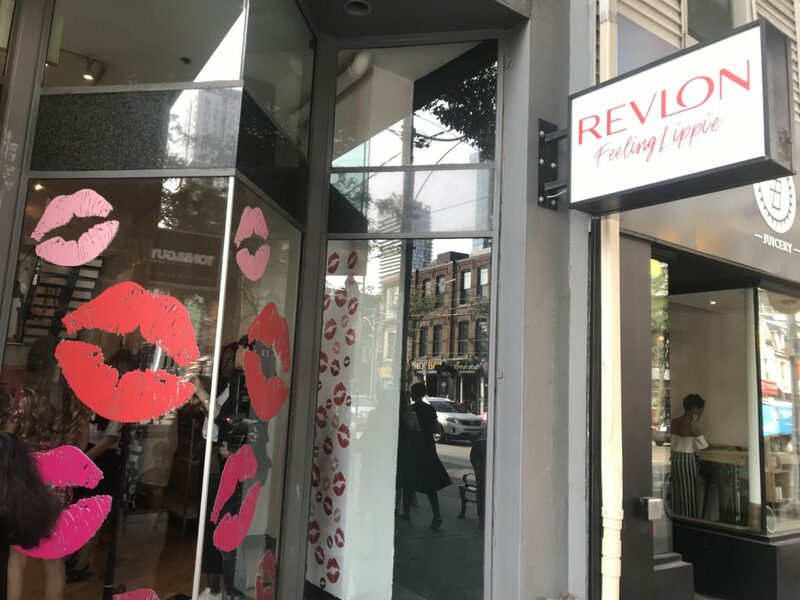 For this weekend only (July 13 & July 14), Revlon has a pop-up right downtown Toronto! You get to experience an exclusive sneak peek into their latest launches – the Kiss Cushion Lip Tint & Super Lustrous Lipstick. 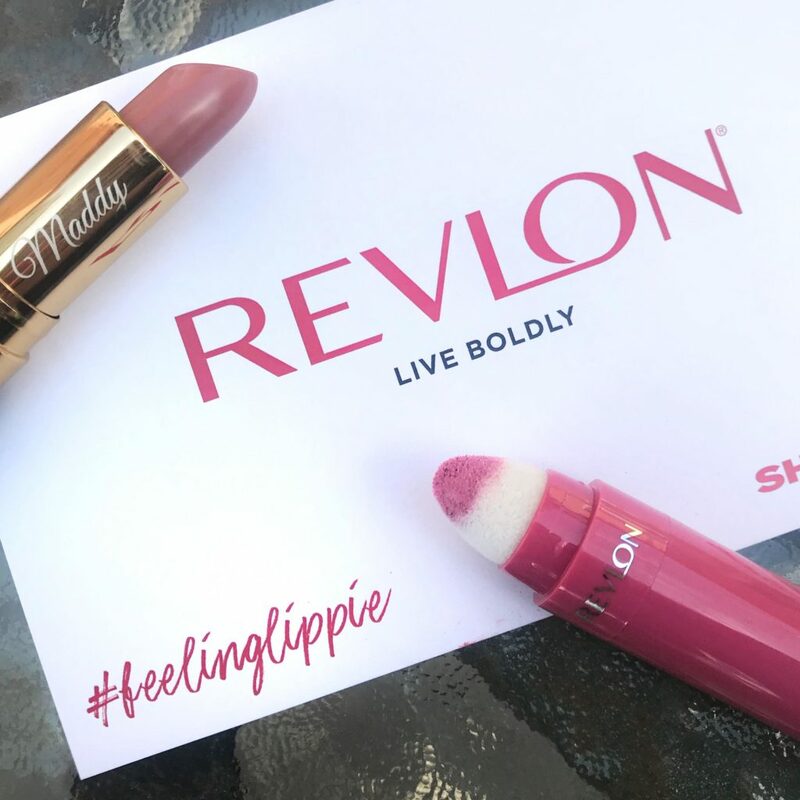 To welcome these new products, everyone gets to choose a Super Lustrous Lipstick of their preferred shade and then have it engraved by a laser! I picked 044 – Bare Affair and had my name engraved onto it in cursive writing! It takes quite a while since they can only do one lipstick at a time, but it turns out really nice. Definitely the best part of this pop up. After picking up your new engraved lipstick, you can head on over to the Tarot Lip Reader for a fun reading! Before sitting down with them, you get to pick out a Kiss Cushion Lip Tint to wear for the reading. 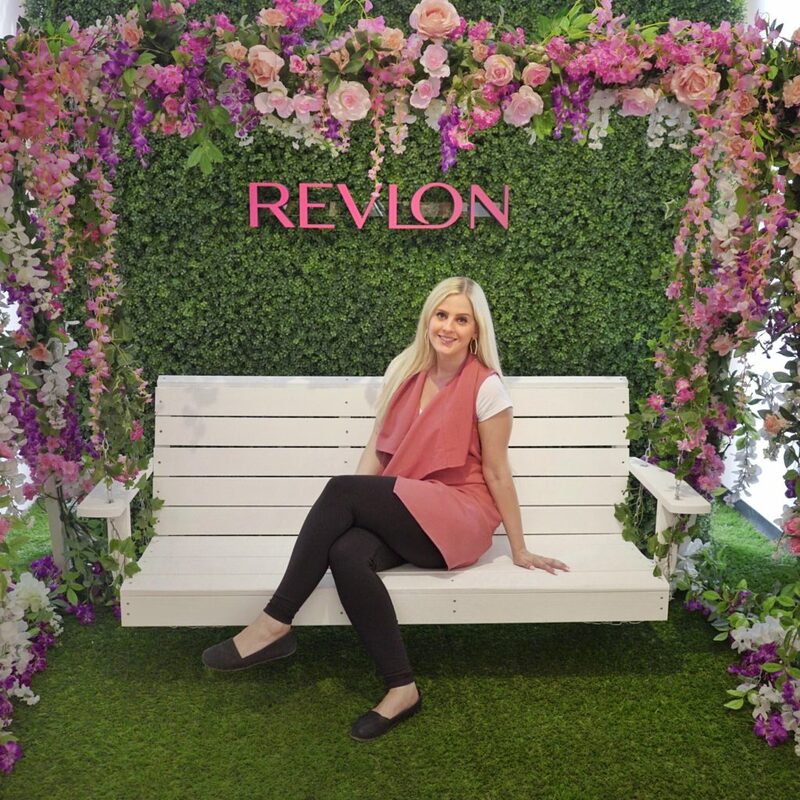 I chose 220 – Pink IRL. It was quite loud at the pop-up, so it was very hard to hear my reading. I didn’t find it at all inspiring or very accurate, but my friend got her reading done and said it was spot on (I do seem to be quite skeptical of these types of things..I think I’m hard to read lol). End off your experience by grabbing an ice cream before you head out! There is a little custom ice cream shop on the lower level of the space, where you can choose different sprinkle and candy toppings. Be sure to check this out before it’s too late!